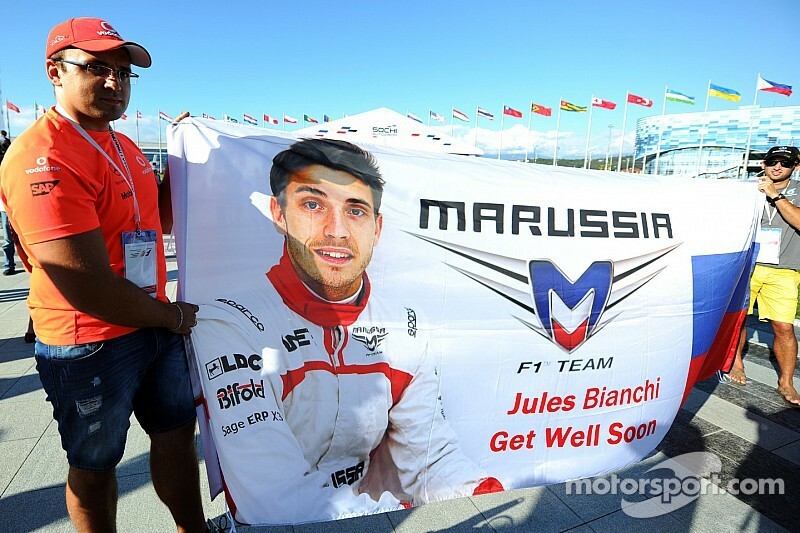 Although Jules has not died of his injuries (he is in very serious condition with severe brain injury), like the injuries of many others drivers discussed here, his accident was avoidable and preventable. The mechanism of Jules injury is discussed below in the appropriate section: Deceleration Injuries. Sudden deceleration injuries can cause veins in the covering of the brain (the dura) to break, leading to a blood clot between the brain and skull: Subdural Hematoma, an uncommon cause of race car driver death. He was killed during a practice session for the 1975 Austrian Grand Prix. On his second lap, while at about 260 km/h a rear tire of his March 751 Ford suddenly blew, the out of control car went through the fence for about 180 feet, over a guard-rail and into a ravine. Donohue was hit in the head by a fence post and knocked unconscious. Several minutes later Donohue regained consciousness. There is film of him speaking to his rescuers and looking quite un-injured. He was taken to the hospital for observation. During the day he became confused and slipped into a coma, classic signs of a sub-dural hematoma that every nurse and doctor knows today. He was operated on later that night by a neurosurgeon but he died of his injuries two days later. This type of death is extremely unlikely today with much more knowledge of closed head injuries and better training of track medical staff that can recognize the early signs of brain injuries and blood clots. The universal use of CAT scans for any racing driver who is even suspected of having a closed head injury is another reason why racecar driver’s deaths from this cause are rare and should probably never happen. If you complain of a headache or a loss of consciousness after a crash, my fellow racers, you can expect a trip to the local hospital for a CAT scan of your brain. You can thank Mr Donohue for helping save many future racers. Of course Michael Schumacher did not die from his head injury, nor did he suffer a head injury while racing a car. I put his injury here to show that injuries occurring during a race can happen in other areas of life. The goal is to minimize the opportunity for these to happen. Michael suffered a subdural hematoma after hitting his head on a rock while skiing on December 29, 2013. He was wearing a helmet and there was no external signs of injury. The injuries were to his brain due to a sudden deceleration exactly like Donohue’s injury above. And, like Donohue, he was conscious for a while, even communicating appropriately at first. 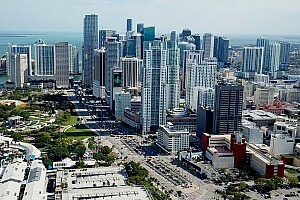 It was not until some time later at the first hospital he was taken to did he become unconscious and the seriousness of the injury was recognized. He was then transferred to a second hospital by helicopter where he was able to undergo a CAT scan which showed his injuries, and then with no neuro surgeon available, more time was lost while one could be flown into the hospital to provide the necessary surgery to relieve the pressure on his brain. Time is of the essence, in both recognition of the injury and it’s prompt treatment. The system failed Michael that day. He did NOT die from his accident but is added here for educational purposes. He has suffered a very serious brain injury that will almost certainly keep from from ever sitting behind the wheel of a race car ever again. As of the time of this writing (4 days after his accident at the 2014 Japanese Grand Prix) Jules is still alive but in very serious condition. 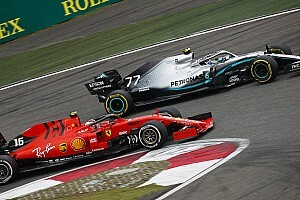 The Formula-One race in Japan was started in favorable conditions, but about one hour into the race the rains from an approaching Typhoon began to fall with moderate intensity. The incident started with Adrian Sutil’s Sauber going hydroplaning off course at turn 8 at the famed Suzuka circuit into a tire barrier within a short run-off area. Sutil was not injured and quickly got out of the car. The racetrack was under a local yellow flag (but green flag conditions were in effect immediately before and after turn 8) and a crane entered the run-off area to collect and remove the Sauber. While the crane was picking up Sutil’s Sauber, Jules Bianchi in his Marussia came by the very next lap and aquaplaned at the exact spot on the track that Sutil hit the lap prior and the trajectory took Bianchi directly into the rear of the crane. The impact ripped the roll hoop from the Marussia and Bianchi’s helmet hit the lead-weighted rear of the crane directly. The helmet was not broken open but Bianchi was unconscious from that point forward. He was quickly extracated and taken to a local hospital where he immediately underwent emergency surgery to drain blood from around the brain. The mechanism of injury again is a sudden deceleration injury which can cause injury in the brain in two fashions: 1) the breaking of blood vessels causing bleeding (such as an epidural or subdural hemorrhage (like Mark Donohue), or 2) a diffuse axonal injury which is the primary injury reported by the physicians attending to Bianchi. The diffuse axonal injury is much like a large bruise to the brain and can encompass a large portion of the brain. Like all bruises and blunt injuries to the human body, the injured tissues swell, but within the fixed-size boney skull, swelling is extremely dangerous because there is no where for the swelling tissues to expand into with the exception of the opening at the base of the skull where the spinal cord exits. This type of injury often results in brain death because of the swelling and impingement of the brainstem resulting in a lack of blood flow to the brain. Even if patients with diffuse axonal injuries survive, they often have very serious brain dysfunction for life. If the tragic nature of Bianchi’s injury weren’t enough, once again this accident was avoidable and probably should not have happened. He ran into the back of a crane that should not have been in an area that could be hit by another car, and certainly not under the conditions present. 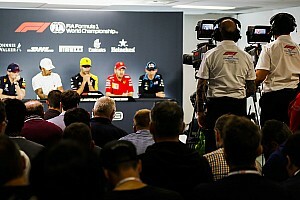 F1 and the FIA will no doubt make some changes in this regards, because we simply must protect racecar drivers better. Race car drivers are safer than ever before, but there is still work to do — and some of that work is for the drivers themselves to do. The cars are safer, the pit stalls are safer, the helmets and suits are safer. Race tracks are being made safer every year, but unfortunately, these changes seem to occur only after a serious, if not lethal, crash. There is no greater example of the changes to race tracks to make them safer than the addition of the two chicanes along the Mulsanne straight within the Circuit de la Sarthe (home of the 24 Hours of Le Mans), however it took a number of high-speed crashes before this obvious change was made. In NASCAR, the addition of SAFER barriers at most tracks adds a degree of “flexibility” to the outside wall which serves to decrease the G-forces imparted on a race car driver–obviously to decrease the impact of deceleration-type injuries. However, it appears that drivers such as Simonsen and Edwards would still be alive today had several very simple things been done differently at their respective tracks. Track officials, owners, and race promoters / organizers evaluate tracks on a regular basis. Unfortunately, this is often because of insistence of the racers themselves, or by the track’s insurer. When these tracks change, the reason they do is so that we have less of a chance of hitting something head-on or at an angle that could put a driver or even the fans at risk of injury. Removing immovable objects from the potential trajectory of a race car seems amazingly intuitive–so much that there is no surprise that many drivers are frustrated and angry. 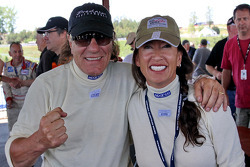 Each individual racer’s active involvement, consistent with the standards first demanded by Jackie Stewart, is the way to proceed, rather that expecting a regional, federal or even global standard to accomplish something that represents an actual improvement for the sport. Often the best way to accomplish necessary change is through education (the primary purpose of this article). Has the time come for a universal driver’s group to come forward to provide a louder and unified voice advocating change in the name of safety? Ultimately, as in any type of accident with severe results, the required elements are the deadly combination of extreme forces applied at a critical time with the inability of the body and/or the equipment (usually both) to protect against severe damage. In other words, driving a race car at 200 mph is inherently more dangerous, because of that inability to control all amplified factors of risk perfectly, than other low-speed, low risk activities. We can work to improve the courses we race upon, the cars we race in, and the gear we wear while racing, but at the end of the day, we still require a dose of good fortune to survive a big crash. Our bodies remain the most fragile part of the race car, and excessive forces absorbed by the human brain, spine and torso ultimately will cause deadly harm if the wrong combination of factors occurs at impact. For sure, there’s reason to continue to strive to make all aspects of our sport as safe as possible, but the human element can never be strengthened to the point of invincibility. Because human flesh is so vulnerable, all efforts must be made to prevent the 6 distinctly different external forces from being applied. No effort should be overlooked. Race hard, enjoy the thrill of our sport, but give a thought to those who have made our lives and careers safer and longer by what we have learned, and continue to learn, with each tragic loss. Let’s work together to improve the sport we so dearly love.